I don't like to think of myself as that old, but I remember when people had to paint names or patterns on walls to get fancy designs. Nowadays, that is so old school. Just buy the design in vinyl and put the wall decal up. Here's a chance to win one for yourself, anything up to $45 in value. US only, until 1/24. Welcome to the WallArtsy Vinyl Wall Decal Giveaway! WallArtsy is a small vinyl wall decal business that is run by a husband and wife team, Sam and Sharon, they are located in Mobile County, Alabama. They offer a wide variety of quality custom made inspirational wall art, including, but not limited to personalized name wall decals designed for babies and children, wall quotes for any room in your home and more. All of WallArtsy’s vinyl material is the highest quality indoor vinyl made right here in the US. Sam and Sharon take great pride and satisfaction in their work and the products that they offer, however it doesn’t stop here. They don’t stop once the customer’s order is shipped, they also want to make sure that all customers are satisfied from start to finish and that the final results leave their customers happy. Google recently announced some changes to how Gmail and Google+ interact with each other. Normally, Gmail requires you to have an email address to send an email message. With the recent change, that is no longer the case, provided you are connected to the person in Google+. With the way the weather has been up here in Boston lately, I thought this giveaway would be very appropriate. Here's a chance to win a pair of $150 overboots. Enter before 1/25 for your chance to win. Here's a chance to win a $100 Walmart gift card. Surprisingly, it is open worldwide. No Walmart nearby? You can win a visit from PayPal. Founded in 1962, Walmart is older than me. Enter before 1/26 for your chance to win. Good luck. Welcome to the $100 Walmart Gift Card Giveaway sponsored by InterPacket News and hosted by Conservamom. One Winner will receive a $100 Walmart Gift Card. Wouldn't this be perfect in your wallet after the Holiday season? Here is a Blogger Opp from Crafty Spices, sign up for this opportunity and grow while you help promote this giveaway. You get a free Twitter or Facebook link with announcement. And the bloggers who brings in more referrals will get a Free Co-Host Spot. Read on to find out about the prize. This giveaway will begin January 13 and will end January 28. One lucky winners will be selected to receive a Smart Media Desk. 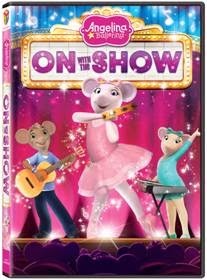 Our next giveaway supports the release of the latest Angelina Ballerina DVD. It is open to US residents and ends on release day 1/21/14. I've noticed a recent trend for more Walmart gift card giveaways (and less Target ones). We'll have to see if that is just a coincidence. 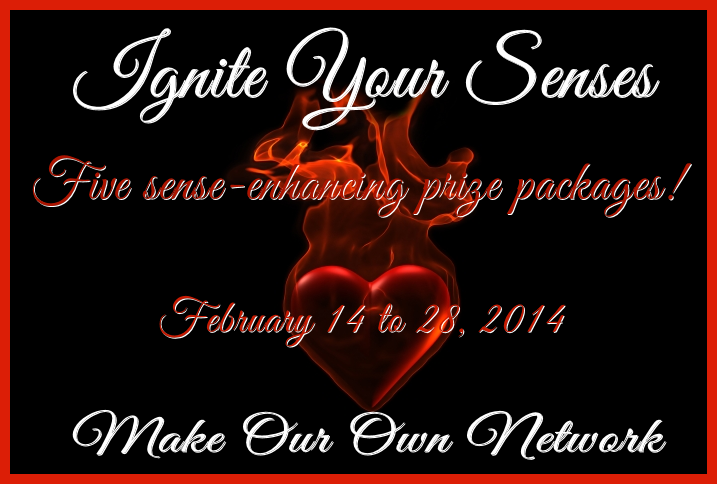 Sign up for this blogger opportunity and pickup a free Twitter or Pinterest to help promote. Signup by 1/13/14. Come back on the 15th to try and win a $100 Walmart gift card. 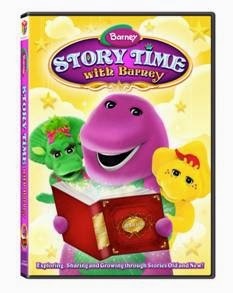 Our latest giveaway supports the release of the latest Barney DVD. It is open to US residents and ends on release day 1/21/14. 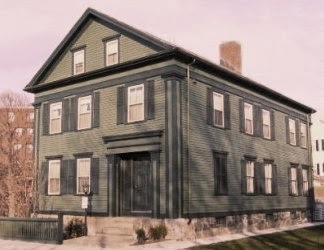 Our next blogger opportunity is not an American Girl doll. 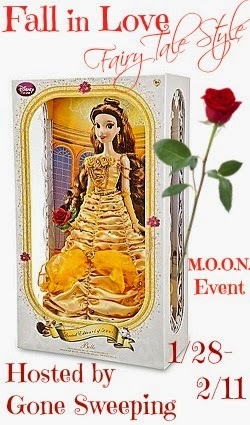 Instead it is for the Disney fans out there, a Beauty and the Beast Limited Edition Belle Doll. The giveaway will start 1/28 and offers both free and paid links. If you sign up, please tell them Java John Z's sent you. 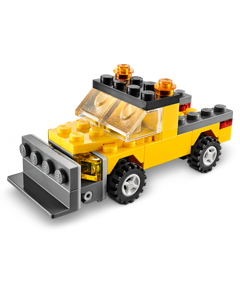 You and one friend will be flown to each location for a weekend long off-roading adventure that includes hotel and travel. Ends January 21st, 2014. Good luck with our next giveaway. It runs until 1/20 and offers up a Visa gift card. Open worldwide, so if you're 18+ and not prohibited or restricted by law, enter away. Does your home or store offer a country feel? 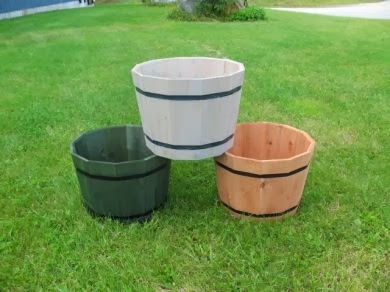 Have you found it hard to find whiskey barrel planters and other wood containers to give that home room the right look? Be creative and check out all that Candy Concepts offers. 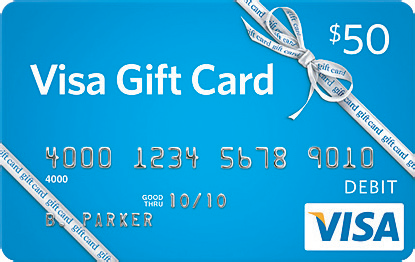 Our giveaway here is for a $50 Visa Gift Card. It runs until 1/20/14 at 11:59 pm EST. 18+. Open worldwide. See terms at bottom of Rafflecopter form for more details. Do you have kids aged 4-8? Here's a chance to pick up a free sample of Pediacare to help them the next time they suffer from a fever and some pain. Welcome to our next giveaway. This one offers multiple prize packs, including a digital scale for each winner. Check out what else is available. Enter before 6pm CST on 1/26 to win. US Only. Good luck. 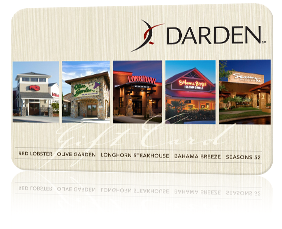 Welcome to the Cold Days, Hot Food $50 Darden Restaurants Giveaway sponsored by Dictated and hosted by The Parenting Patch! The cold days of winter are here. Warm up with some hot food from Olive Garden, Red Lobster, LongHorn Steakhouse, The Capital Grille, Seasons 52, or Bahama Breeze. We've given away showerheads here before but never anything like this. We're already doing showers in our house but I think this is a great idea. Interested in winning one yourself? 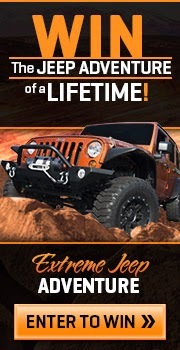 You have until 1/20 to enter to win. US only. Good luck. Rubber Duckie & Friends™ bath accessories are great for kids of all ages. Because they look like bath toys, they can help mom and dad to get their kids to want to take a bath, and then transition their kids from bathing in the tub, to taking showers on their own. Babies and toddlers appreciate the gentle, low-flow spray of the shower head. As babies grow to children, Rubber Duckie and Friends grow with them and transition into their favorite, first shower head. We're slowly growing out of the Dinosaur Train in this house. With that said, here's a chance to win an interactive Dinosaur Train book with lots of fun flaps to lift and learn. US residents have until 1/20 to enter to win. Good luck. More than 45 flaps to lift and a learning activity on each spread combine to make this book both entertaining and educational! The Nature Trackers are always on the lookout for interesting things to discover all around them. Kids will enjoy the adventures of Buddy, Tiny, Shiny and Don as they check out a cave filled with colorful gems, watch baby dinosaurs hatch from eggs, and more. The activities throughout reinforce early learning concepts like colors, action words, counting, matching, and opposites. Early signups are starting for a giveaway happening in March. We did a Maggie Bags giveaway in the past which proved popular. Here's another chance for your readers (and mine) to win one. If you sign up, you'll get a free link, one of a Facebook Fan page, Twitter handle, or Pinterest link. Do please tell them Java John Z's sent you when you sign up. Thanks. Here are a trio of offers for those with diabetes or supporting someone who is affected with the disease. The first offer is to sign up for Diabetic Connect, which is a social network dedicated to connecting individuals with diabetes. The second is for a free wristband. The last is to enter to win a free meter. 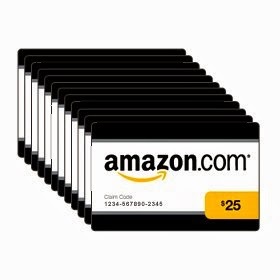 It seems we all love gift cards from Amazon. Here are some from various bloggers for you to enter.